The Brazilian guitarist and singer-songwriter Tiganá Santana took the European audience to his heart, during his first European tour in Holland, Belgium, France and Sweden, in 2011. The cultural center Espace Senghor in Brussels was almost sold out and the audience ecstatic. 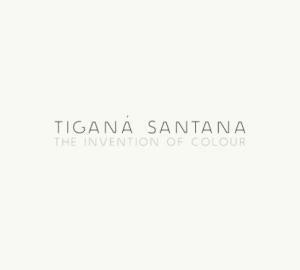 Tiganá Santana had intended to become a diplomat at home in Brazil but chose the music. He now lives in São Paulo. He grew up in the Afro-Brazilian city of Salvador in Bahia, close to Brazil’s Atlantic coast in a house situated on a high hill, where he could watch the different moods of the sea. “ I depend on the views of the ocean, horizon and the universe,” says Tiganá Santana. The view over the sea gives indeed a poetic sounding in his music, the flow of warm water. The lyrics are deeply philosophical and mystique as part of the Afro-Brazilian religion of candomblé. He sings about universal things, who we are and where we come from. Africa is strongly presented, where his ancestors once lived many hundred years ago. He is the first Brazilian composer to use several African languages in his songs. Tiganá Santana sings in Kikongo and Kimbundu, but also in Portuguese, English, Spanish and French. He plays on a kind of experimental guitar with only five strings, tuned in his own way. And so his beautiful warm voice, a little rough, which hovers over the quiet guitar accompaniment. Some people compare him with Nick Drake. The first album Maçalê was recorded in 2009 with guest artists like Virginia Rodrigues and Roberto Mendes, produced by Luiz Brasil in Salvador, Bahia. The new album The Invention of Colour is mostly recorded in Stockholm, with guest artists like Ane Brun, Maher Cissoko, Joakim Milder and the Cape Verdean singer Mayra Andrade. “Tiganá’s music is like a perfume of rhythmic essence and pure fragrance, offered to the major divinity, Afro-Brazilian natural beauty, sophistication and elegance”.